What was the answer that came out of your mouth first? Was it an enthusiastic YES! Or was it hesitant silence? Or was it a quiet “maybe” or was it a shake of the head meaning “no.” There’s no right or wrong answer at this time. It matters not what your immediate answer was because we are starting with baby steps. We are starting this 2014 with LOVING YOU! Commit to Loving Yourself this year. Every bit of you from the tip of your head to the tip of your toes! 2. How did it make you feel? Were you uncomfortable? Were you happy? Did you smile at yourself? 3. Whatever your reaction was, it was perfect for you at this time! Take my hand and with time, we will make it an even better one! One baby step at a time! 4. Your job today (should you choose the Love theme of 2014) is to do the above exercise 3x today. Note how if makes you feel when you do it! Exercise from Louise Hay’s book, You Can Heal Your Life. Have you ever read it? Did you like it? If someone had told me 10 years ago when I began blogging that I would have been able to have yet another dream come true, I would have felt grateful for their positivity and would have tried to believe that Fairy Tales Can Come True. It’s not that I am not a positive person, nor that I don’t subscribe to beliefs, affirmations and belief in the Laws of Attraction. I most certainly do. But I had already had a few of my dreams come true so I figured it was enough. But God/Universe/Life had other plans for me and I am truly grateful for what I have received and been able to share with others. For I have seen my dreams explode in a way that I could never have imagined, they have developed world wide which helped me to return to my love of traveling internationally as well. I guess that’s what happens when you continually try to stay on the path of your red carpet! This is my third work opportunity come true ~ the first being find a job out of college where all I wished for was to use my Spanish (I didn’t care what else it entailed ~ I went into banking, then sold tennis racquets internationally), and then my second was that I wanted to be a role model for students who were studying the Spanish language I was teaching them so I became a teacher to teenagers which was an amazing time in my life ~ and then I had a dream I would survive the breast cancer that riddled my body as well as my life and check ~ that dream came true. Then I was dream-less for awhile. Lazy, hazy days of hmmm…what do I want to accomplish? I’m simply a ship bobbing along the surface of the sea without oars, just knowing that I wanted to make a world-wide difference in the lives of others. I wanted to find a way to help them to heal their lives by teaching baby steps on which to find peace. And then it happened. My prayers were answered, my dreams came true! I received The Presents of Presence that I’d been sending out ~ they came back a hundred fold, a thousand fold and I am forever grateful to all of you for sticking with me, for sharing my presents and for sending out love and receiving the love that I was sending to all of you. Thank you to all of you! I am forever grateful! Write the About page for your blog in 10 years. Photographers, artists, poets: show us FUTURE. My heartfelt thanks to Paul at Goal Habits who daily brings me a quote to begin my day ~ and it’s always a keeper! (You know what that means right? When you’re fishing and you catch one that is just the right size, what do you say? It’s a Keeper!) I know this is an older quote, but I thought it was perfect for today! There’s a lot of mumbo jumbo about finding your purpose, being your best self and fulfilling what you are meant to accomplish by learning the lessons you’ve been given in order to live this life. Truly, I don’t feel like it’s all mumbo jumbo, but I do feel like I hear a lot of people yammering about it, but not DOING anything about it. Does that make sense? I guess that’s why I like this quote because I believe that when you find your purpose to serve, whatever is necessary in your life will come. Does that make sense to you? So what is it that is your purpose? Whom are you to serve? Do you know? I’ve met so many inspiring people through blogging from all different corners of the world. What I adore is that I learn from each of you, something special that inspires me to live a more gracious life ~ to be lifted a bit higher than I was and to yearn to connect even more with others. I’m floating these days, awaiting the start of the school year which as a former teacher, I always found exciting ~ on par with New Year’s because it’s a new beginning ~ although to be truthful, every Monday feels like a new start, every 1st of the month when I utter rabbit-rabbit is a new start ~ heck every dawn is a new start, don’t you think? So today I’m asking you, what’s your purpose to serve? Whom are you serving? And if you don’t know, please think about it and with tomorrow’s dawn, come back and tell us! Perhaps we can all connect even more and help each other! Come on, find that Inner-Hotshot, you know the one who listens to her intuition, her gut and connects! 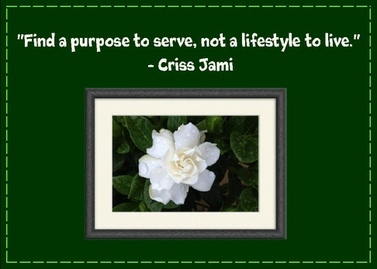 What’s your purpose to serve? I found the poem above this morning and felt that it must be shared with you. I know you can do it…hold my hand. I wasn’t planning on writing this morning, but when the Daily Prompt came through, I had to jump on it ~ early bird? I just wrote about that here! I love my precious mornings! The dawning of a new day filled with promise ~ the sun rising to light up the earth ~ I imagine it’s the beginning of an all day smile! But night owl, oh yes! I can do that too! Especially since many nights I wake up and can’t fall back to sleep! Yes, I endure insomnia as well. But this night owl can also hoot it up and party when needed ~ although the next morning, her early bird may be dragging a bit. I can’t hoot like I used to anymore, but I always enjoy going out! 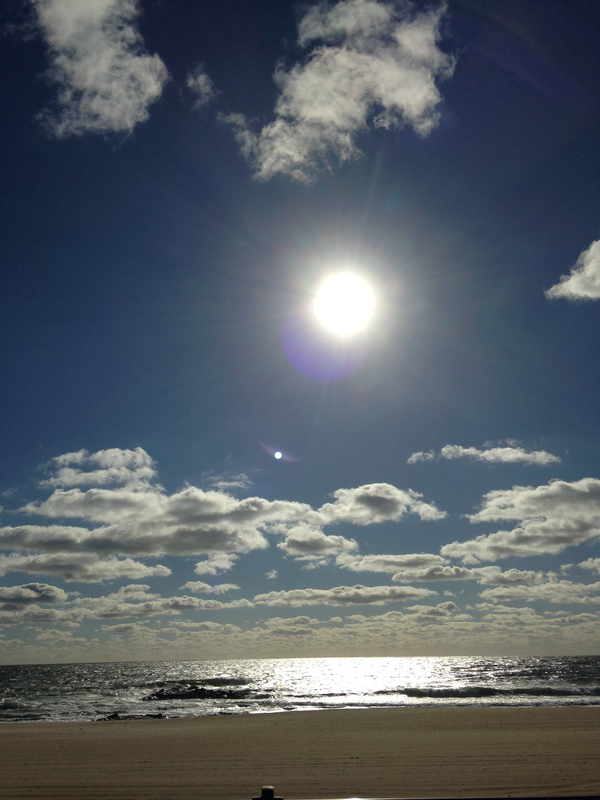 So…to answer the Daily Prompt ~ I SHINE ALL DAY and ALL NIGHT! How about you? 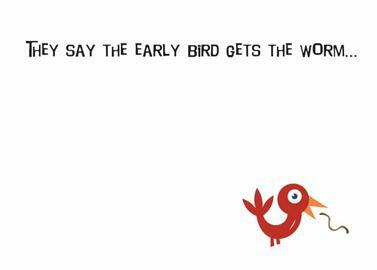 Early bird or night owl? Are there moments when you feel you just can’t ________(whatever, you fill in the blank)? Well, Oprah and I KNOW FOR SURE that Nick’s inspiring story will be one you won’t forget and one that you’ll carry with you. This morning’s spotlight is on a happily married fellow from Melbourne Australia whom you may have seen on Oprah recently. Nick was born without limbs as you can see on the card above that I made from photos from his website listed below, but that hasn’t stopped him from living a life of joy, faith, hope, love and a powerful will to inspire every single person whom his amazing story touches. His courage, his fearlessness and his faith will continue to astound you ~ he’s truly an extraordinary, inspiring person who shines! 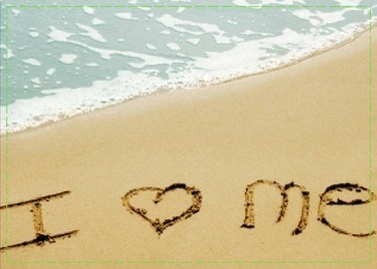 If you do nothing else, take a moment and watch this video ~ it’s sure to inspire you today! Nick recently graced the stage on Oprah’s LifeClass with Pastor Rick Warren You can find Nick’s spotlight during that class by clicking http://www.lifewithoutlimbs.org/nickhugsoprah/. Nick has written a few books…click on them to find out more! I hope you enjoyed today’s inspirational person! 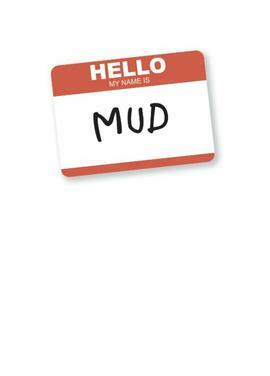 When I was in grammar school I knew a boy named John who wanted to be called Mud…so we all called him Mud! I don’t recall the reason why he wanted that nickname, but he did. It wasn’t a bully nickname, it was one he’d picked for himself. So when I saw this card in my SendOutCards catalog, I giggled and immediately thought of John. Funny how something so simple can immediately bring you back to childhood in an instant! But the real reason for my post today isn’t about mud…it’s about names! So I ask you, what’s in a name? When you are introduced to someone and you tell them your name, how do you feel about it? Because I want to know if you like your name ~ the one your parents gave to you ~ the one that’s on your original birth certificate. Not the one that perhaps you go by (like Mud) but the legal one. It’s interesting to me how something so special, so intimate to our whole lives is picked by someone else and we have nothing to do about it. My Mom tells the story that she and my Dad were walking through a cemetery in Canada and happened upon a gravestone which had the name Yvonne on it. Since my family has some French ancestry, they decided to name me Yvonne. It’s a name which I like and I dislike at the same time, but one that I’ve had now for so many years, that I can’t imagine any other name. For awhile, and actually during one job in my 20’s, I went by the name Tommie which I thought to be different and cute (and because shockingly there was another Yvonne in the office!) In fact, I still have my business cards which read Tommie and all of my clients knew me only as Tommie as did the office staff. The only people who knew my real name was Yvonne was the payroll department and my boss who had asked if I could use a middle name instead. For me, it was fun to have a different name for awhile and akin to playing dress up as a young girl! It was fun, exciting and I could change my outer image a bit to match what I thought my inner Tommie was! I like my name because it’s different but I don’t like it because it’s different and if that doesn’t make any sense to you, don’t worry because it makes no sense to me. It’s simply how I feel and sometimes feelings don’t need to make sense! I have thought of changing my name like my good friend Amy who when we were 18, had her legal name changed to Lindsay because she wanted to change it. In fact, her parents paid for the change and began calling her Lindsay! More than 20 years later, I call her Lindsay, but sometimes the name Amy slips out simply because most of my childhood memories are with her being named Amy. So what’s in a name? Do you like your name? I find it so fascinating so I’d love it if you would please share! 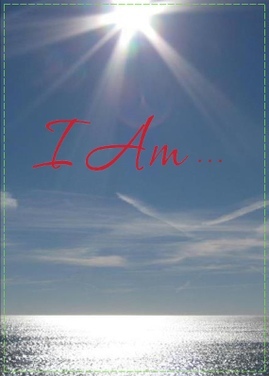 Shine On ~ whatever your name may be! A little Romeo and Juliet for you ~ Enjoy a bit of the 1936 balcony scene!